When you visit our site or make a purchase from us, we collect information from you such as your name, address, shipping address, payment information, email address and contact number. This information is used only to process and deliver your order to you. We also have information stored on our website such as the pages that have been browsed and products that have been viewed, known as cookies. We do this so we can continually improve your browsing experience with us. For the exhaustive list of cookies we collect see the List of cookies we collect section.We use the information listed above to fulfil any orders placed on our website including if we need to contact you about a query relating to your order. If you have subscribed to our newsletter we will also use your contact information to communicate new product information, offers, competitions and updates to our terms of trading. We also use the data we collect in relation to the way you navigate the site and use this to monitor the success of email campaigns and product sales. www.fiftyonepercent.co.uk is not intended to be a site for children and we do not knowingly collect or retain information relating to minors. When you visit and browse through our site, we also automatically receive your computer’s internet protocol (IP) address in order to provide us with information that helps us learn about your browser and operating system. Email marketing: With your permission, we may send you emails from time to time about our store, exclusive online offers, new products and other updates. We use the information listed above to fulfil any orders placed on our website including if we need to contact you about a query relating to your order. If you have subscribed to our newsletter we will also use your contact information to communicate new product information, offers, competitions and updates to our terms of trading. We also use the data we collect in relation to the way you navigate the site and use this to monitor the success of email campaigns and product sales.  www.fiftyonepercent.co.uk is not intended to be a site for children and we do not knowingly collect or retain information relating to minors. What is Google Analytics? It is a service offered by Google that generates detailed statistics about a website's traffic and traffic sources and measures conversions and sales. How do I withdraw my consent? If after you opt-in, you change your mind, you may withdraw your consent for us to contact you, for the continued collection, use or disclosure of your information, at anytime, by contacting us at trade@fiftyonepercent.co.uk or mailing us at: Fifty One Percent, Brook Street, Walcote, LE174JR. We are committed to ensuring that your information is secure. In order to prevent unauthorised access or disclosure, we have put in place suitable physical, electronic and managerial procedures to safeguard and secure the information we collect online. We may disclose your personal information if we are required by law to do so or if you violate our Terms of Service. Your contact details are stored on our website and we use Mailchimp for our email marketing campaigns if you have opted in to our newsletter. Your payment details are encrypted and processed either by Sagepay or Paypal, depending on your payment method. The details of your order are stored on our accounts package here in our office but no payment details are stored and will only be used to fulfil your order or contact you about your order. We will keep this information on file so we can continually offer you good customer service, unless you ask us to delete it. You may request details of personal information which we hold about you under the Data Protection Act 1998. A small fee will be payable. If you would like a copy of the information held on you please write to 20 Brook Street. This policy may be changed or updated at any time and without notice to reflect any changes in the law or in our company policy. We will only use information collected about our customers lawfully and in accordance with the Data Protection Act (1998) and the new GDPR legislation (2018). The association with your shopping basket.